What is a Spinnaker Strut? 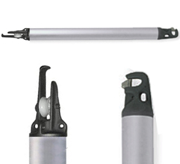 Home | Uncategorized | What is a Spinnaker Strut? And, more important – when sailing fairly close to the wind with the spinnaker, the pole is well forward. In a good breeze the afterguy or sheet is loaded. 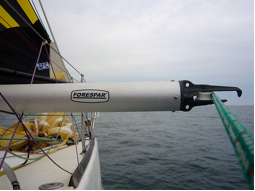 If that lifeline or stanchion (or both) bends enough, or breaks, the pole will slam forward into the forestay. Bad things can happen. Very bad things. Mike Dwight November 26, 2014 Category: Uncategorized.